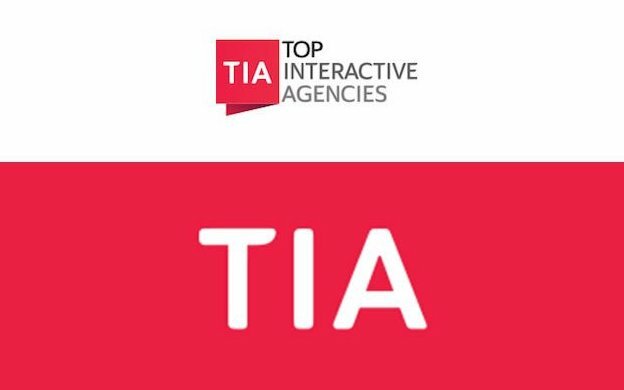 Top Interactive Agencies, a firm spotlighting leading digital agencies worldwide, sat down with Ruckus CEO Josh Wood to produce this feature. Located in the heart of New York City, Ruckus Marketing is a full-service agency dedicated to providing digital results for clients. With over ten years in the industry, Ruckus certainly has been through many phases of digital marketing. The agency takes pride in this. A slogan from the Ruckus site reads, “We’re the only 10-year-old you’d ever want working on your business”. With digital agencies popping up left and right, Ruckus is a refreshing and experienced company that’s been driving result for clients for years. Servicing mostly U.S.-based clients in the tech industry, Ruckus has worked with clients in all sorts of sectors including banking, fashion, food & beverage, music, and luxury goods. Leading this creative team is CEO, Josh Wood. We chatted all things Ruckus and discussed the future of the digital marketing in a period of transition. What kind of challenges do you and your team face? One of the biggest challenges is when there are a lot of stakeholders invested into the project. For them it’s subjective business. We have to reach a consensus with the client, for the pure purpose of acquiring customers or achieving brand recognition. It can’t be for the agency to win awards. While we do win awards and that’s nice, the motives of the project must fully reflect the needs of the client and sometimes that goes against creative instincts. If you could describe your agency in 3 words (descriptive adjectives) what would those be? What is a campaign you worked on that was especially successful? We did a project for the Diocese of Brooklyn to try and modernize the Catholic Church and appeal more to younger generations. Some of the viral campaigns titled “The Original Hipster” and “It’s Never Just a Selfie” made waves in terms of digital presence. “The Original Hipster” garnered over 2.6 million media impressions, a figure staggering for the Catholic Church. Parts of the project ended up being picked up by Saturday Night Live and received a lot of positive press in both the local and national media. How did you become interested in this industry? In university I majored in International Relations. Post college, I wanted to start something for myself. I felt that after college I was really only responsible for myself and had a very solid opportunity to try something. So, I founded Ruckus and managed to swing Honda motorcycles as a first client. From then on, it has been growth for about a decade. What does the word creativity mean to you? Creativity needs to be process-driven. A lot of agencies want to chase this big idea and creative vision. It needs to be focused and resonate with the consumer. Creativity is fantastic, but it must understand what you’re doing within it. One can still think outside of the box while being strategically based. Are there online publications or industry leaders that you follow? Wired, Ad Age, and The Economist. I enjoy doing anything that is physical activity. When I have time I love to run or play basketball. In any business, if you don’t leave time for that you’ll get bogged down by your work. I also recently became a father so the majority of my time not in the office goes to my little one. Which countries excite you most in terms of digital creativity? There is some interesting work coming out of South America, especially in Argentina. Dubai also intrigues me and there are some nice creative shops in the UAE. Where do you see the industry going in 5 or 10 years? The industry will be looking for what is the new eco-system. I’m not saying apps are finished, but we’re getting to the point where there is an app for everything. People are looking for the next big thing. I don’t know if that will be some virtual reality play using VR technology. With VR no one is really sure yet how it fits into e-commerce, but it’s an aspect of digital market that is exciting. What is a digital trend that is here for the relative time being? 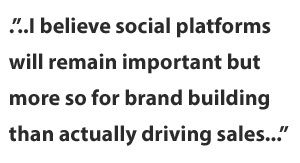 I believe social platforms will remain important but more so for brand building than actually driving sales. Things are still primarily being done on the desktop. As that trend continues, more and more will recognize what that means. We cannot rely alone on digital. Years ago everyone was saying TV was dead and was no longer a relevant vehicle for consumers. We’ve seen small little rebirth of TV in the Second Screen concept. Second Screen refers to people using a second technology while watching TV. This can be a cell phone or a tablet. This allows brands the opportunity to develop compelling TV ads and lead the consumer to a sale on the second device. There are a lot of online and digital-based brands that know they can make that impression on TV and make good conversions on the second device. The travel industry is one in particular that has really tapped into this opportunity. What advice do you often give to people who are starting to work in your same field? It can be easy to get excited about all of the wonderful creativity in the business as it’s one of the big jewels of this industry. To young people I would say it’s important to stay strategic and really understand the different channels in digital marketing. Get a firm understanding of where those creative pieces end up. It’s easier when you go back to do the creativity spots to understand the media channels and how to effectively craft something for each one. Full story feature can be found at Top Interactive Agency.